Franklin Fire Marshal Andy King is reminding residents that consumer fireworks are illegal in Franklin. This includes sparklers and sky lanterns, which are airborne paper lanterns fueled by flame. In the State of Tennessee, sky lanterns can only be purchased and used by licensed fireworks professionals. King said the Franklin ordinance that prohibits consumer fireworks was adopted in 1999 due to the substantial risks that fireworks pose. 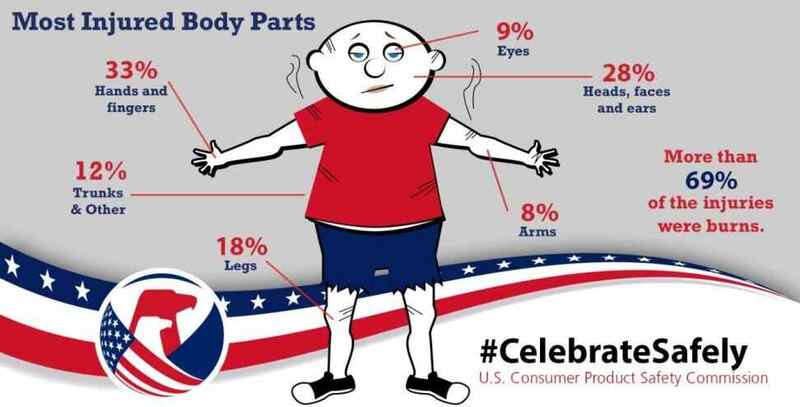 In addition to damaging property and causing thousands of fires annually across the U.S., every year fireworks cause thousands of eye, ear, and face injuries as well as severe burns. According to the U.S. Consumer Product Safety Commission, there were eight fireworks-related deaths in 2017, with victims ranging in age from four to 57. Additionally, there were an estimated 12,900 fireworks-related, emergency department-treated injuries in 2017. Most of the injuries occurred during the month surrounding the Fourth of July holiday, between June 16, 2017 and July 16, 2017. During this one month period, sparklers were the number one cause of injuries, accounting for 14 percent of the estimated injuries. King encourages everyone to enjoy fireworks at shows run by professionals, such as the Franklin on the Fourth professional display at The Park at Harlinsdale Farm. It will take place around 9 p.m. and is sponsored by WAKM AM-950.